November 11, Armistice Day,* will become more historic as the years pass, and it will take its place with the Fourth of July, the Twenty-second of February and other epochal days in American history.‘ This day marked the hour of democracy’s triumph over autocracy and the end of a war that many hoped might end wars. It marked the opening of a great conference in the city of Washington last year which made much progress toward limitation of armaments and toward the substitution of reason for force in the settlement of international disputes. Wars and destruction spread rapidly. Peace and constructive enterprises require time for consummation. Years of education, gradual development of better understanding, the slow substitution of sympathy for suspicion, the eradication of selfishness and lust for power—all these and more must be brought into the hearts and minds of the peoples of the world before we can have enduring peace. *At 11AM on 11 November 1918 the Allied Powers and Germany signed a ceasefire agreement, which brought the Great War to an end. 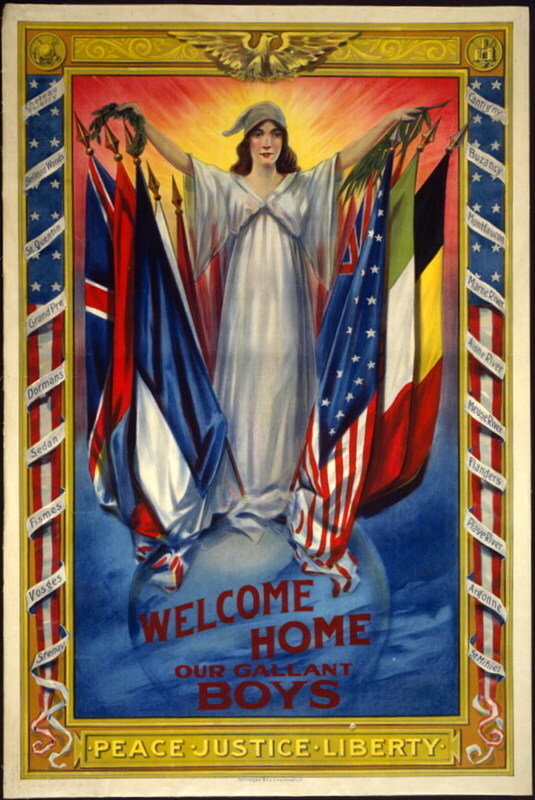 Since, sadly, it turned out not to be the only Great War of the century, its name changed to World War I. Image below: Photo of a veterans square memorial in Worcester, MA. The plaques (not actually blue, as you can see here—but this is the way my new camera photographed it) appear on granite pedestals at intersections throughout the city. I have mixed feelings on the subject. On one hand, I am glad when the people all stand still in the city streets for a minute of silence. Our grandfathers and their friends deserve that respect. But I wonder if today's school children, who go to the Shrine, understand the nightmare that was WW1 - the war to end all wars.